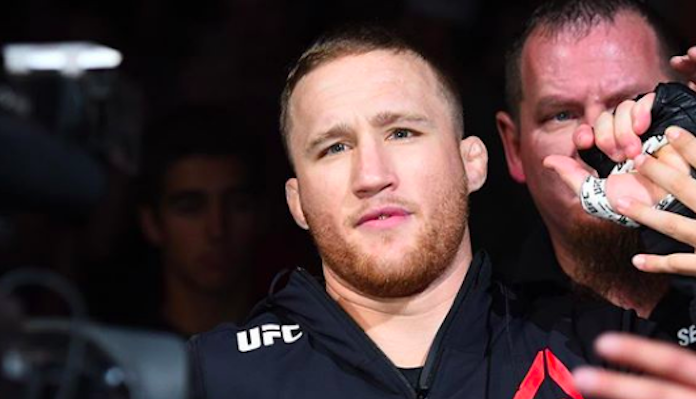 Justin Gaethje, who was in attendance for UFC 236 on Saturday night, is hoping to keep marching toward a UFC lightweight title shot as Dustin Poirier and Khabib Nurmagomedov look to unify their titles later this year. Speaking to the media backstage, the former World Series of Fighting lightweight champion divulged that he’s got his eyes on two potential opponents in particular: Tony Ferguson and Conor McGregor. Unfortunately for Justin Gaethje, Tony Ferguson isn’t available for a fight just yet. The former interim champ is currently working through some personal issues. Conor McGregor is also a bit of a question mark a present, continually floating between retirement and fighting again. Gaethje isn’t sure what we can expect from the Irishman and seems to be getting tired of wondering. Who do you want to see Justin Gaethje fight next?